The film tie-in edition to the already highly acclaimed Luca Guadagnino-directed film of one of the great love stories of our time. 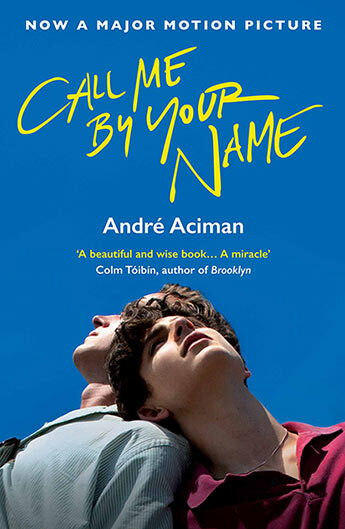 Call Me By Your Name is the story of a sudden and powerful romance that blooms between seventeen-year-old Elio and his father's house guest Oliver during a restless summer on the Italian Riviera. Unrelenting currents of obsession and fear, fascination and desire threaten to overwhelm the lovers who at first feign indifference to the charge between them. What grows from the depths of their souls is a romance of scarcely six weeks' duration, and an experience that marks them for a lifetime. For what the two discover on the Riviera and during a sultry evening in Rome is the one thing they both already fear they may never truly find again: total intimacy. Andre Aciman was born in Alexandria, Egypt and is an American memoirist, essayist, novelist, and scholar of seventeenth-century literature. He has also written many essays and reviews on Marcel Proust. His work has appeared in The New Yorker, The New York Review of Books, The New York Times, The New Republic, Conde Nast Traveler, The Paris Review, Granta as well as in many volumes of The Best American Essays. His first novel, Call Me By Your Name, was published in 2008 and Eight White Nights was published in 2011. He teaches comparative literature at the Graduate Center of the City University of New York. He lives with his family in Manhattan.